I discovered it by "sliding my screen over to the right" one day, then scrolling down to find a bunch of news headlines. It was in June right after the Orlando shooting happened, and I saw a headline about it, so I clicked on it. 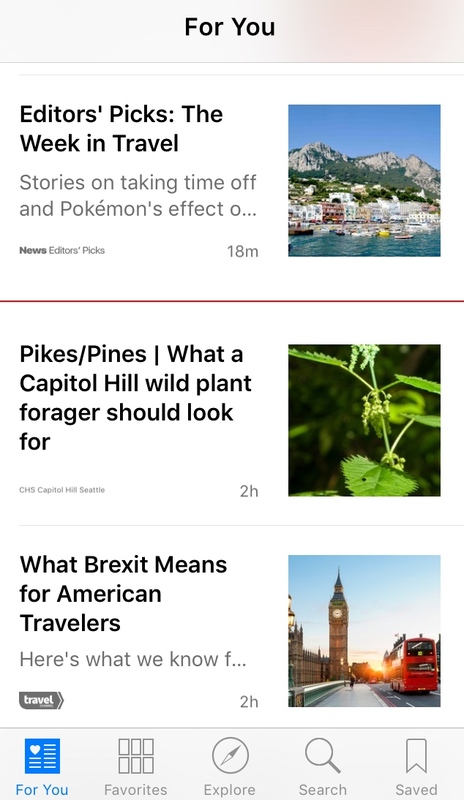 It took me to a news article about the shooting, and from there I started exploring the app and finding other articles that interested me. Since then I've been taking a few minutes almost every night to read a few articles, or save new ones to read later. Since I've been planning our Colorado vacation this coming August, I've read a lot of articles related to Colorado and National Parks lately! 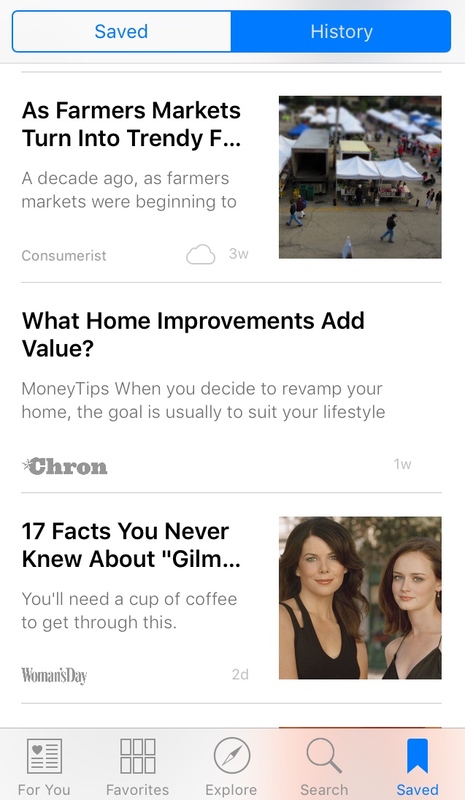 The articles that the app collects for you, are all under the "For You" tab. A lot of times, I will save an interesting article I see by swiping the headline over to the left, and clicking on "Save". I'll then go over to my "Saved" tab, and click on the articles as I want to read them. If I want to go back to an article I read the other day to reference something, I can either leave it in my "Saved" list, or I can go to my "History", and every article I've visited / read is listed there. I mean, who doesn't want to read 17 random facts about "Gilmore Girls" before heading off to bed?